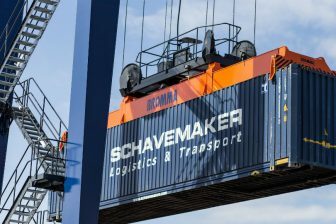 The Rotterdam-Chengdu multimodal route via the port of Kaliningrad has become an established route for container transportation between Europe and China. 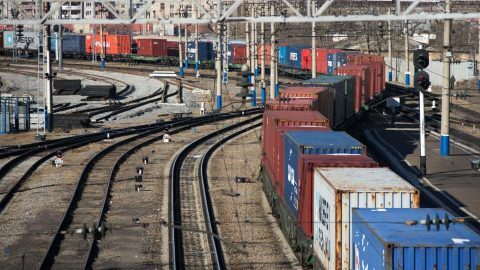 In less than a month after the first test deliveries, two 145-container trains departed from Kaliningrad to Chengdu. Another forty shipments will be launched from Europe to China by the year’s end. The overall container traffic of the multimodal route is expected to reach 4,000 TEU by the year’s end. 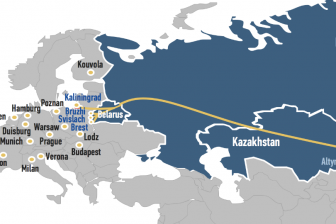 The logistic chain was launched by the joint-stock company United Transport and Logistics Company – Eurasian Railway Alliance (UTLC ERA), together with its partners Kaliningrad Railway, a regional branch of Russian Railways, and Kaliningrad Sea Commercial Port and Beliintertrans-Germany, a logistics subsidiary of Belarusian Railways. The first three test container trains departed from the port of Rotterdam to Chengdu via the port of Kaliningrad at the beginning of November. The trail shipment proved the efficiency of the route even despite its difficult solutions. The logistic chain consists of two main legs – the maritime connection between the Netherlands and Russia as well as the railway route to China. This year, the Kaliningrad region has become an important hub for rail freight transportation between China and Europe due to the launch of several new logistic options. Besides the multimodal route, the regular railway link was inaugurated between Chongqing and Duisburg via Kaliningrad. This connection uses the intermodal terminals of Kaliningrad Railway instead of Brest/Malaszewicze facilities. The main reasons for launching these new options were the delays on the Belarusian-Polish border and the modernisation of Polish railway infrastructure. To comply with new requirements of shippers, Kaliningrad Railway invested 300 million Rubles (4 million Euros) in the upgrade of its intermodal facilities. This financial injection allows the doubling of the container traffic running through the Russian-Polish railway border points in Kaliningrad region up to 150 thousand TEU. By 2024, the container volume via Kaliningrad is estimated to reach 1.2 million TEU. 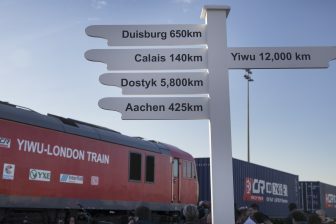 What are the opportunities of rail freight between Europe and China?